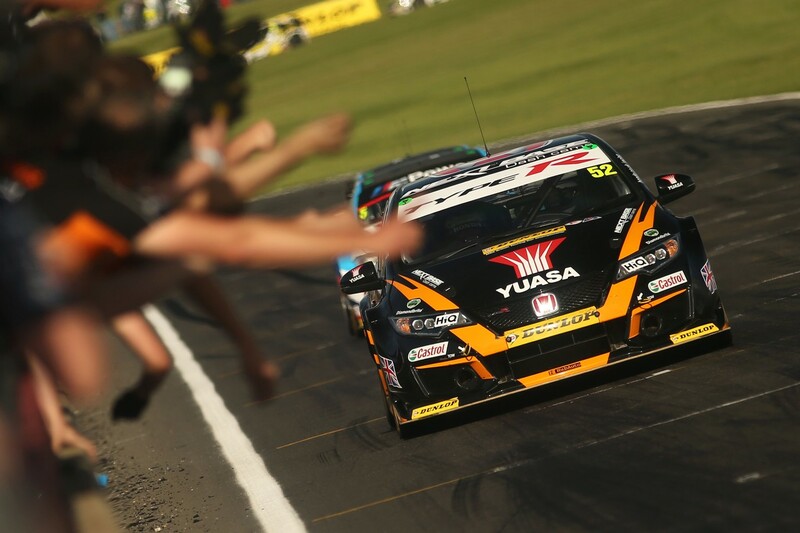 The Dunlop MSA British Touring Car Championship heads to the tight and twisty Knockhill circuit in Scotland this weekend (12/13 August) – with Halfords Yuasa Racing looking to further strengthen its title winning credentials. Gordon Shedden won last time out at Snetterton as the reigning champion fought back from a challenging qualifying session to claim victory in the final thrilling encounter. That success saw the 38-year-old recapture the standings lead and the Scotsman now heads to his home track with a two-point advantage over the chasing pack. Matt Neal – like Shedden – is chasing a record equalling fourth BTCC crown and the ultra-experienced racer remains in the hunt to do just that. A podium in the opener at Snetterton last month was just reward for a brilliant effort behind the wheel of his Honda Civic Type R, and Neal has recent fond memories of Knockhill too – after he surged brilliantly from eighth on the grid to win at the Fife circuit back in 2016. "I can’t wait to be racing in front of my home fans at Knockhill. It’s great that we go into the weekend at the top of the championship, which didn’t look likely after qualifying at Snetterton. Winning race three there was a crucial result and it just goes to show that it’s not over until it’s over in the BTCC! We hope the car will be better suited to Knockhill, which couldn’t be further away from Snetterton – in terms of both characteristics and geographically! I expect it to be really tight this weekend as it’s a shorter circuit and a real rollercoaster. The crowd are really close to the action and the atmosphere is always electric – we will hang it all on the line, which should make for some great racing." "We were pleased to salvage a few good results at Snetterton last time out as it was a really tricky weekend. It always felt like a bit of damage limitation there but we’re very much in the hunt at this stage of the season – it’s extremely close. Personally, I just need a bit of luck on my side, but at least we go into the event at Knockhill with a lighter car than some of our rivals. I’m extremely hungry and despite there being a bit of a points deficit, it is far from over! Knockhill is completely different from anything else on the calendar and it’s quite a crazy challenge for all of us. It’s extremely close out there and every fraction of a second counts, particularly with it being such a tight and twisty track."